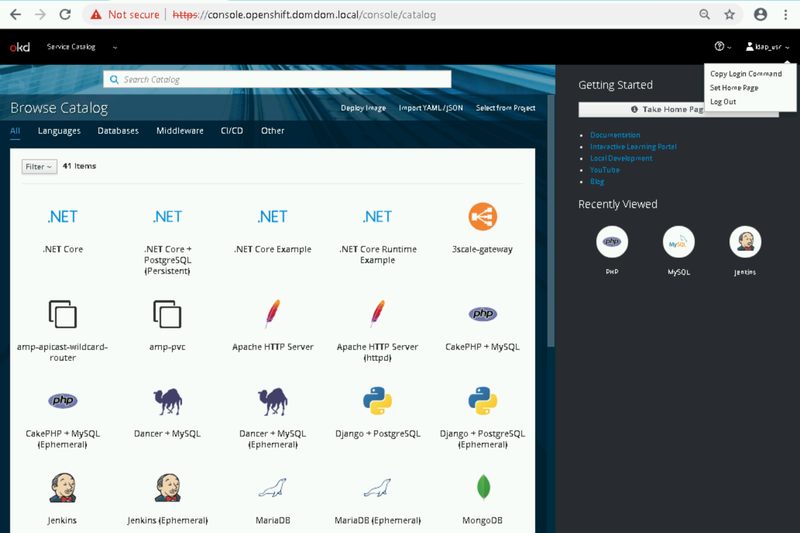 OpenShift container platform provides support LDAPv3. You can integrate your OpenShift Cluster to use LDAP authentication. That will allow users to log in to OpenShift with their LDAP account. But it will be a single point of failure, meaning that if LDAP server become unavailable then all OpenShift platform requires authentication would also be unavailable. You need an authentication user to search ldap. I strongly recommend to create a specific LDAP user and group that you will add OpenShift users. If you have already complete the installation of OpenShift , then check if master-config.yaml under “/etc/origin/master” directory. 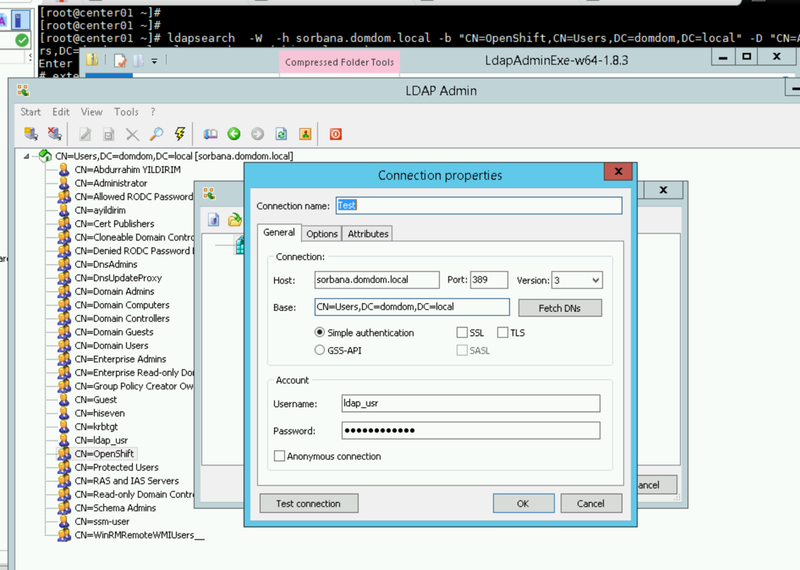 Before start to create your config set you should install a ldap client to test your ldap server. I added two options that you can install for Linux and Windows. Install OpenLdap binaries to use ldapsearch. You should perform step 3-4 for the master nodes. After define your LDAP information you need to add this config set to the “oauthConfig”. - challenge: true login: true mappingMethod: claim name: "ldap_provider" provider: apiVersion: v1 kind: LDAPPasswordIdentityProvider attributes: email: - mail id: - sAMAccountName preferredUsername: - sAMAccountName bindDN: "CN=ldap_usr,CN=Users,DC=domdom,DC=local" bindPassword: "Welcome1!" 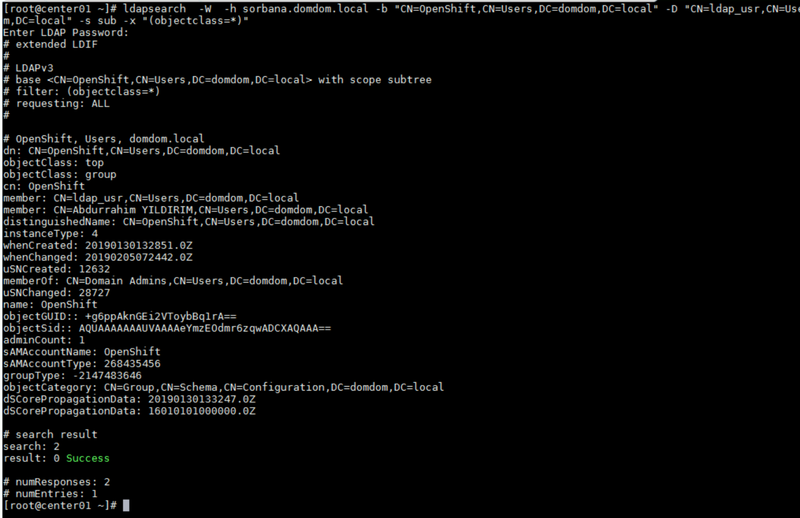 insecure: yes url: "ldap://sorbana.domdom.local/DC=domdom,DC=local?sAMAccountName"